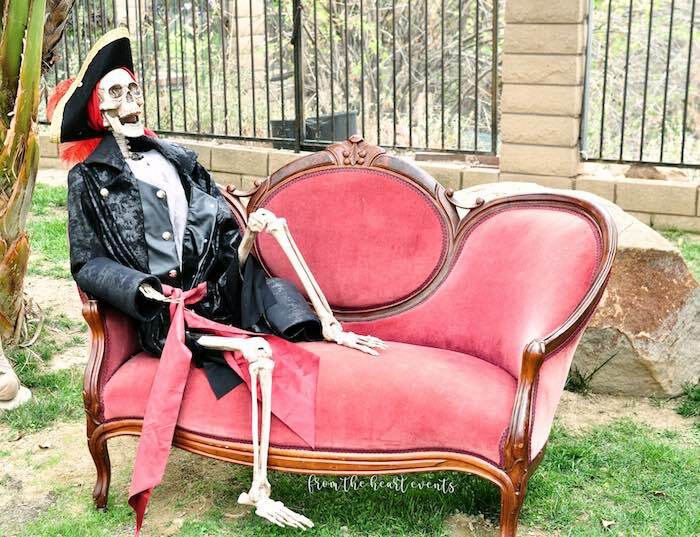 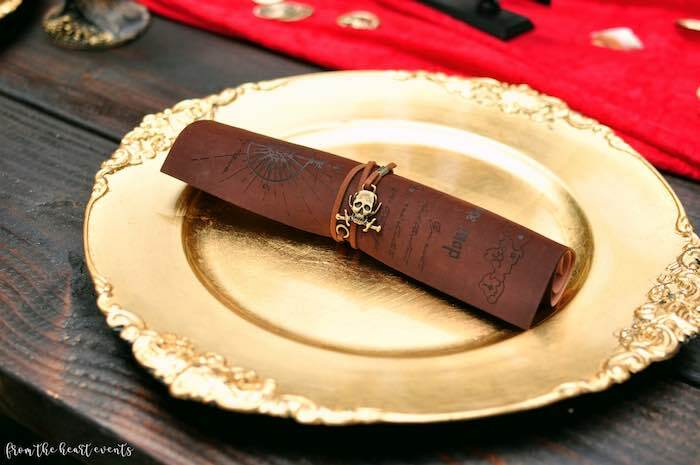 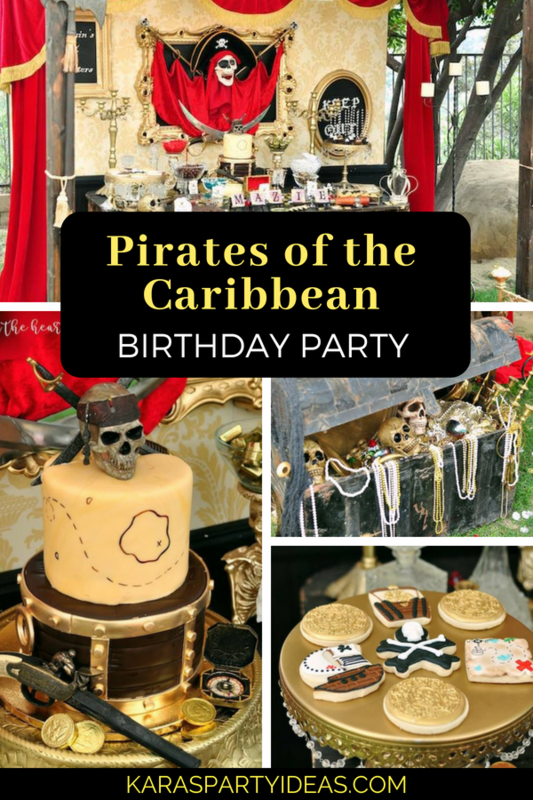 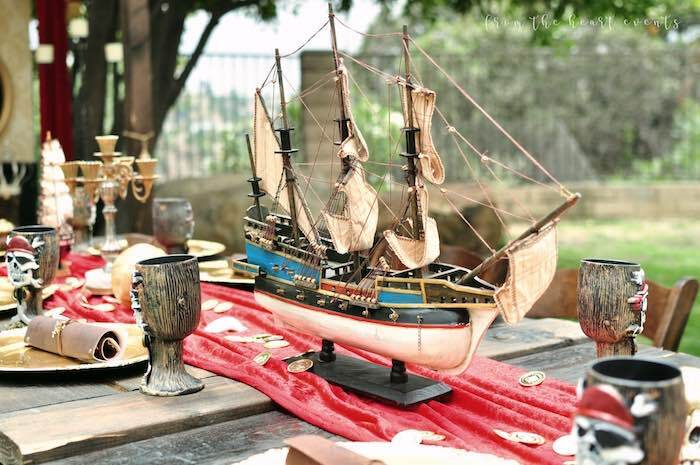 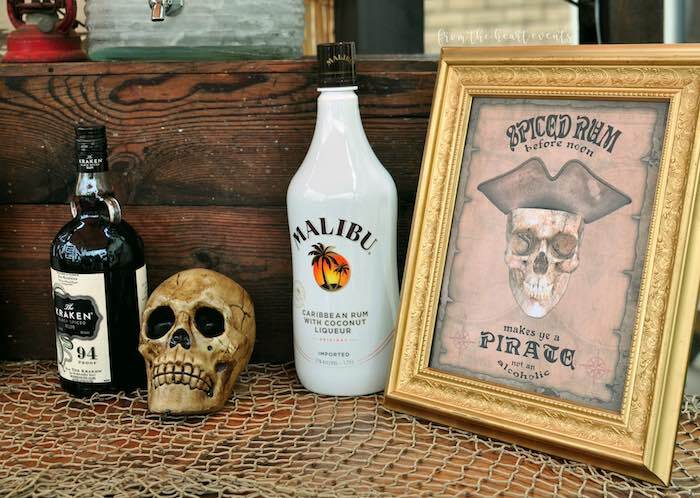 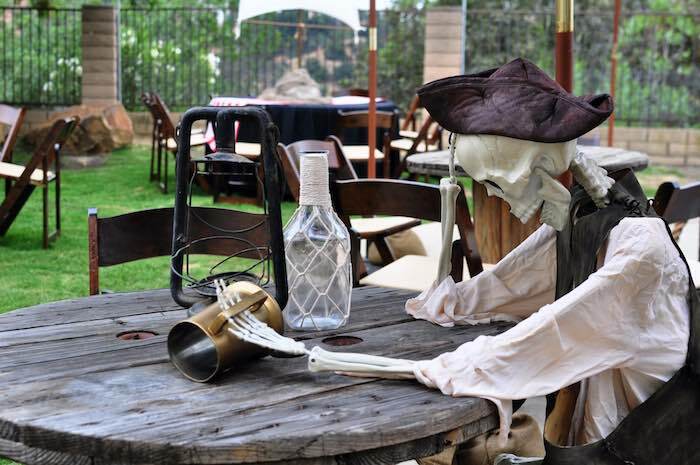 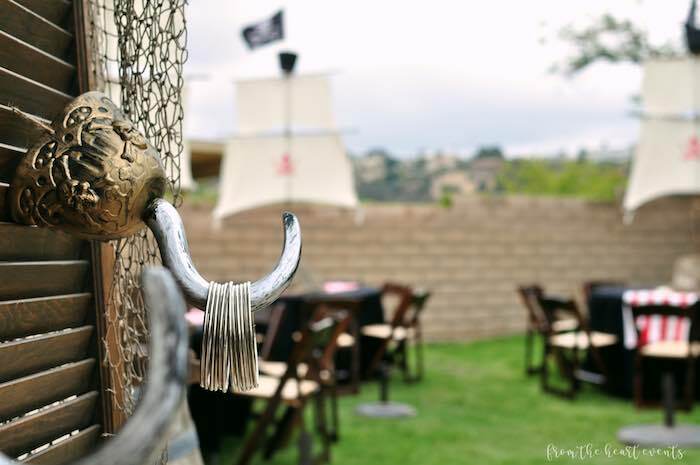 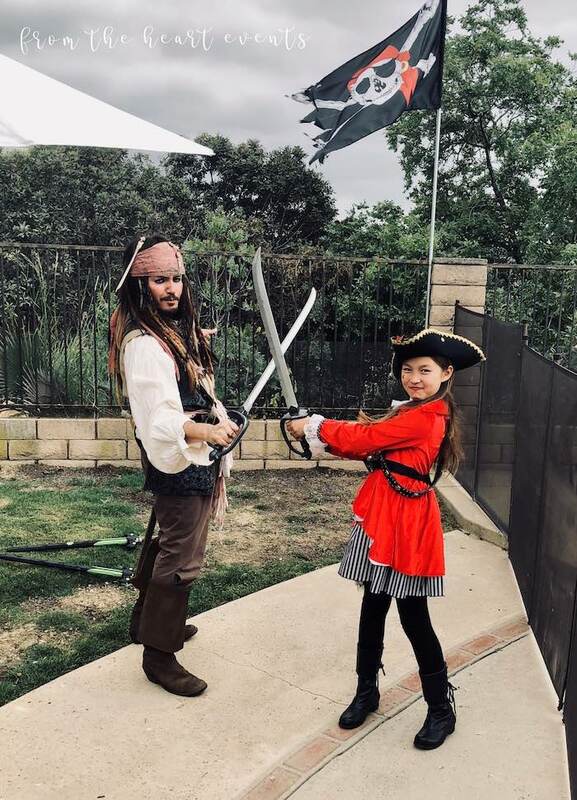 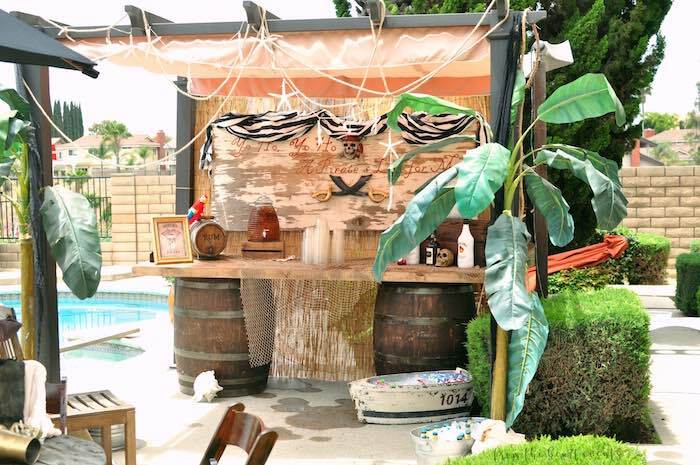 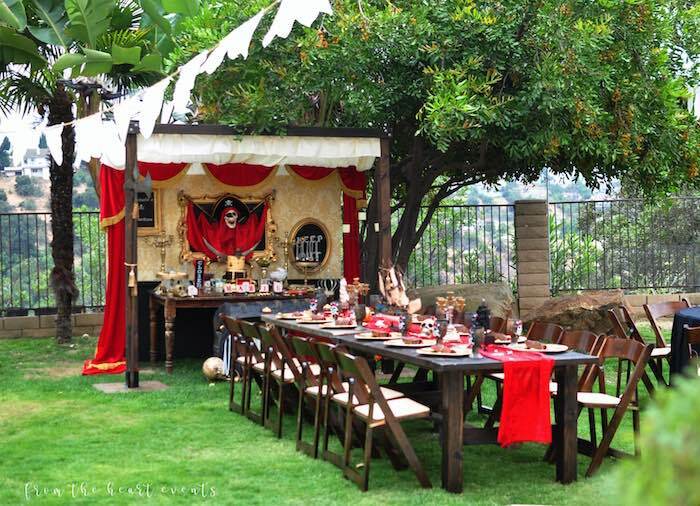 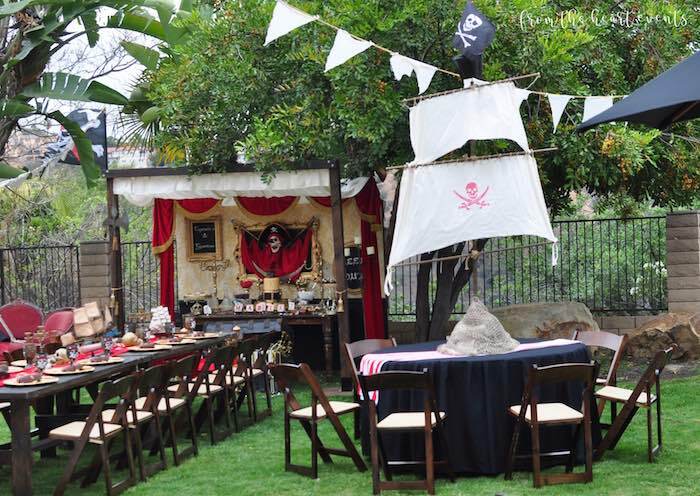 Board the Black Pearl and sail out to sea, this Pirates of the Caribbean Birthday Party by Kimberly Shen of From The Heart Events, out of Diamond Bar, California,is coming for thee! 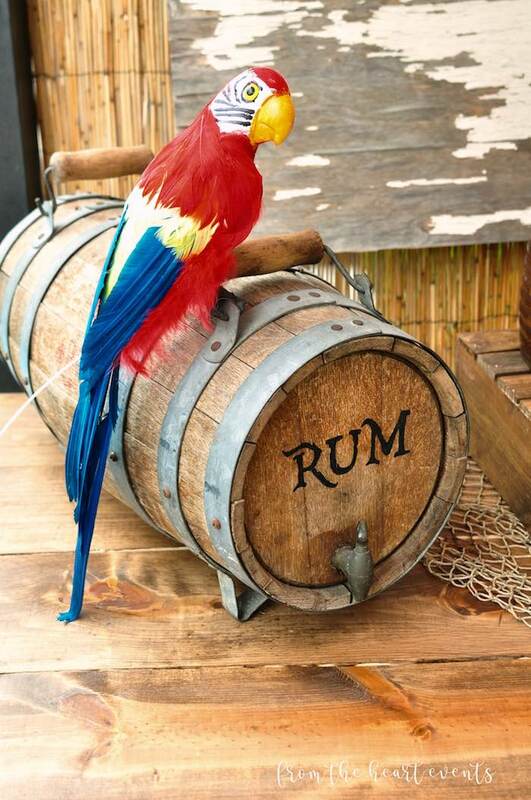 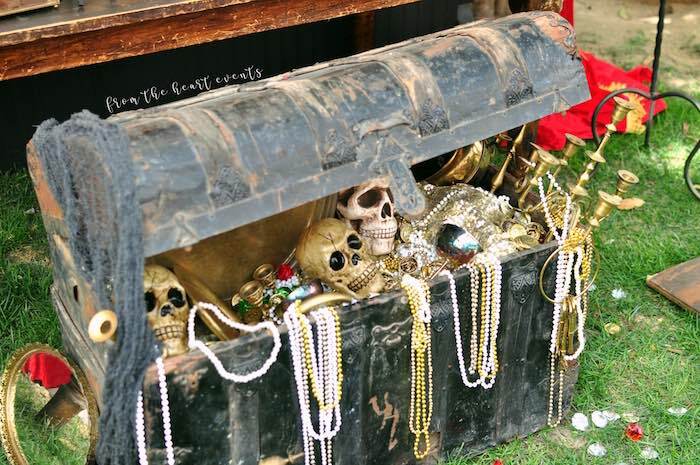 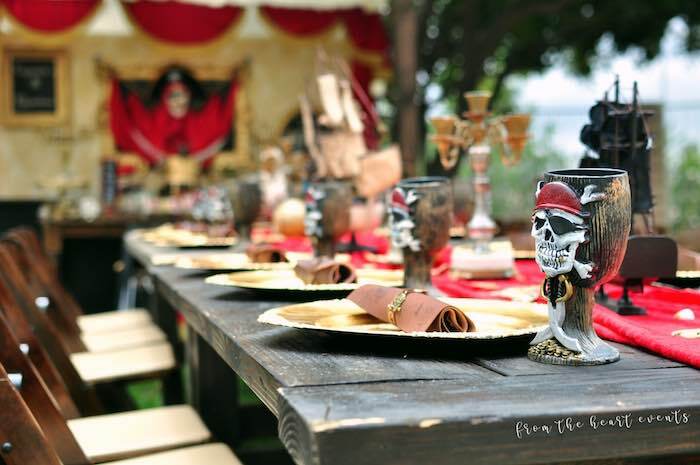 Filled with treasure and curses by the ton, this party is packed with not only fabulous party ideas, but rum! 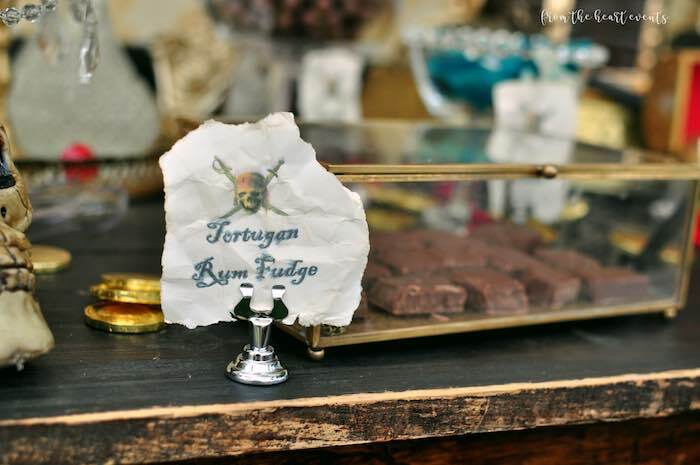 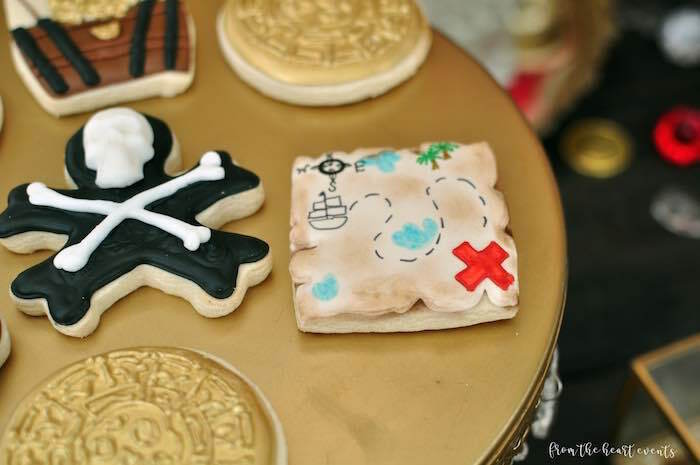 And Crinkled Pirates of the Caribbean Dessert Labels! 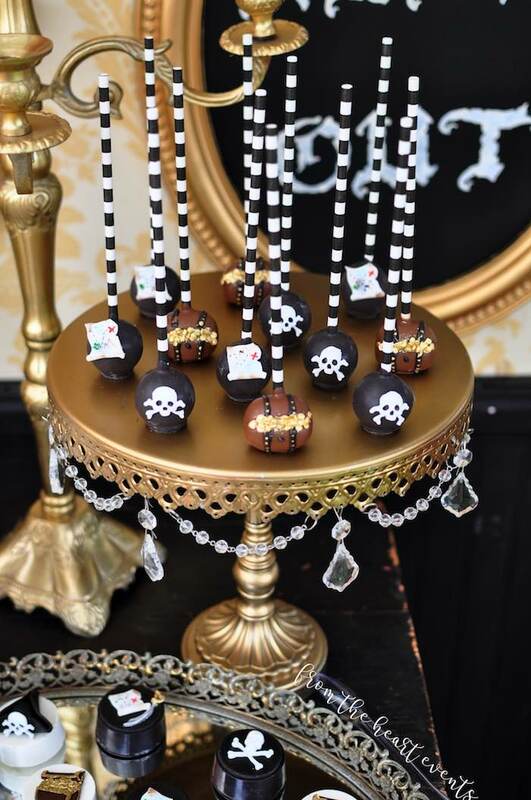 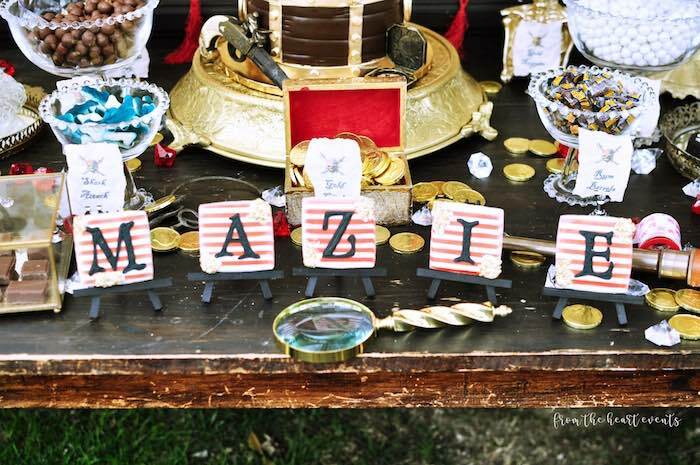 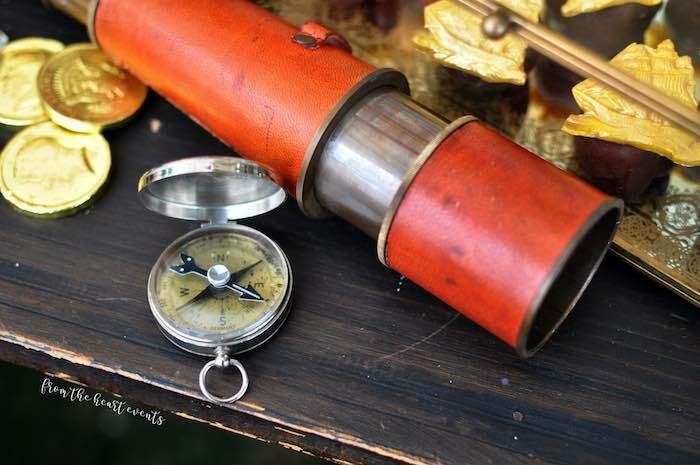 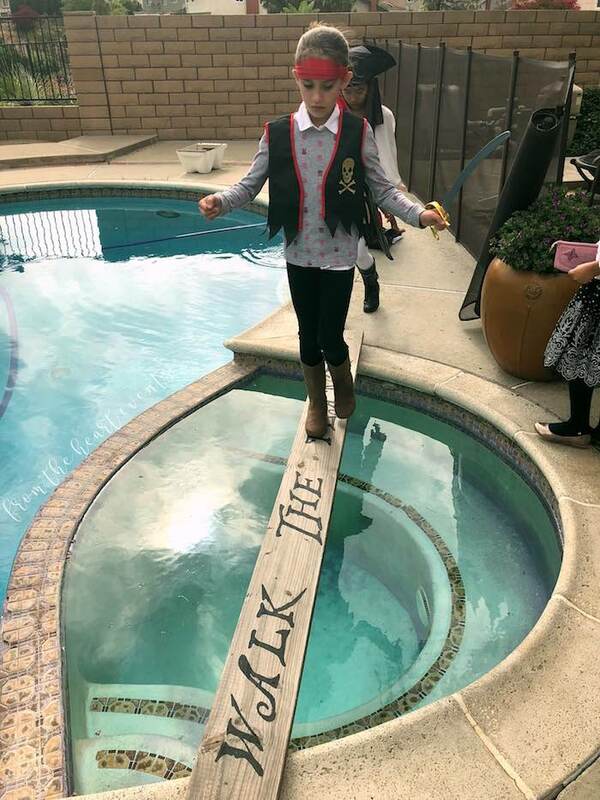 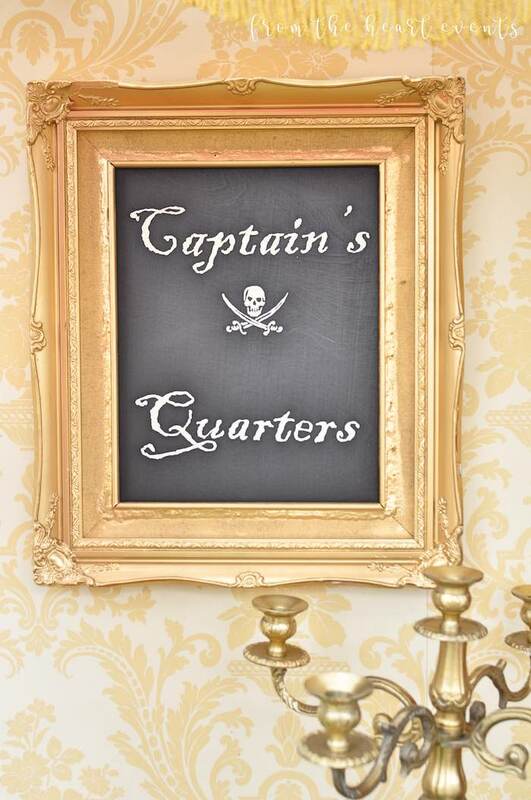 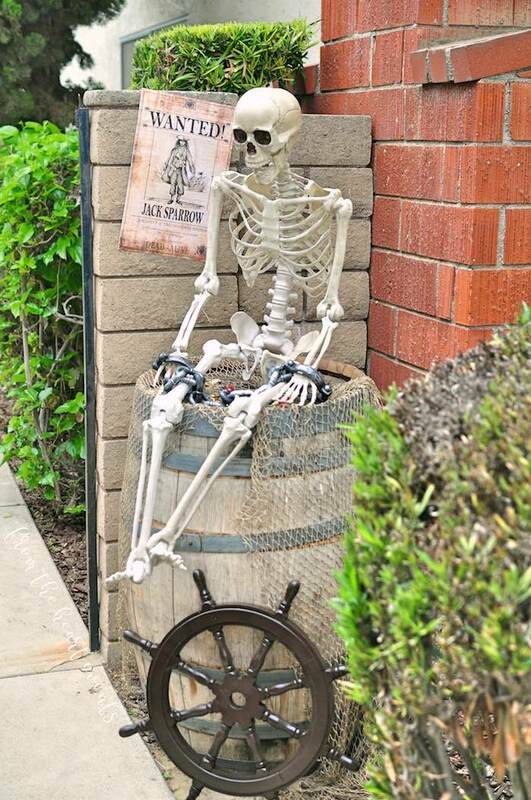 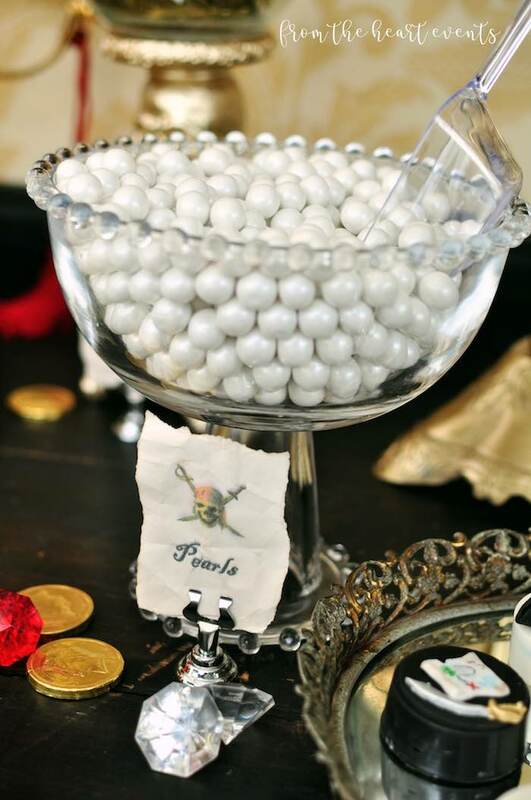 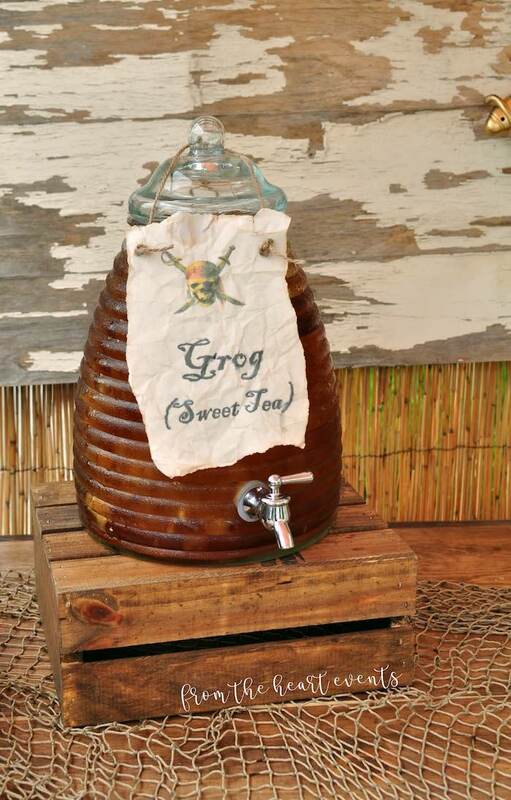 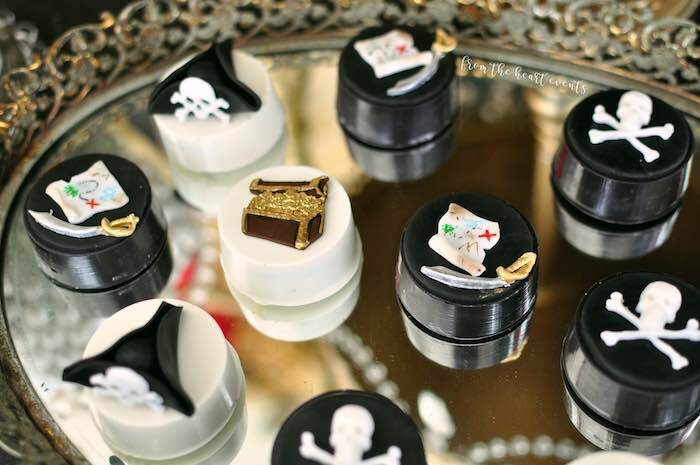 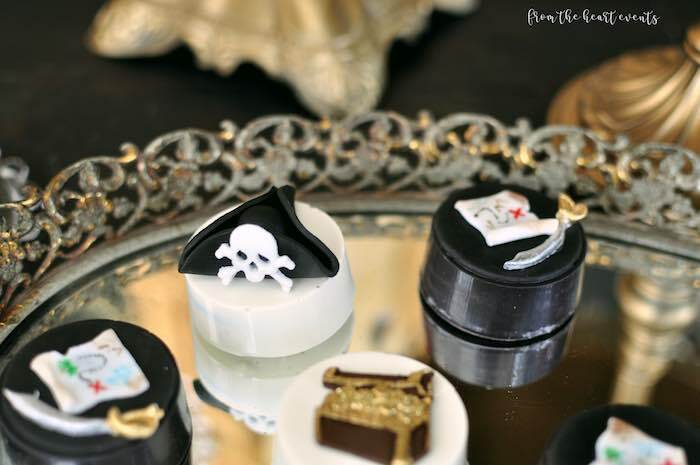 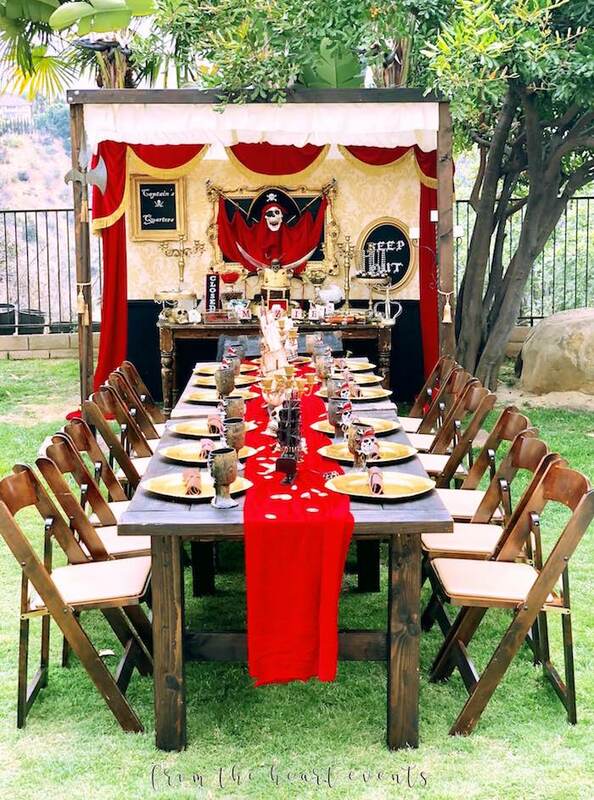 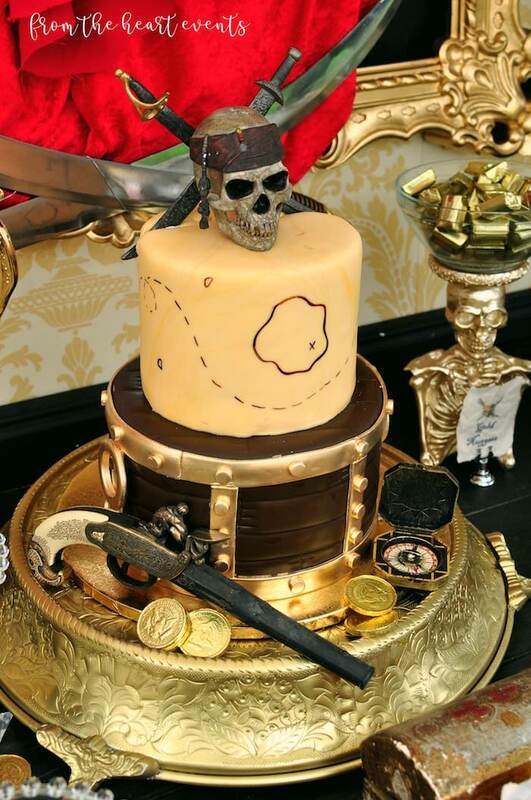 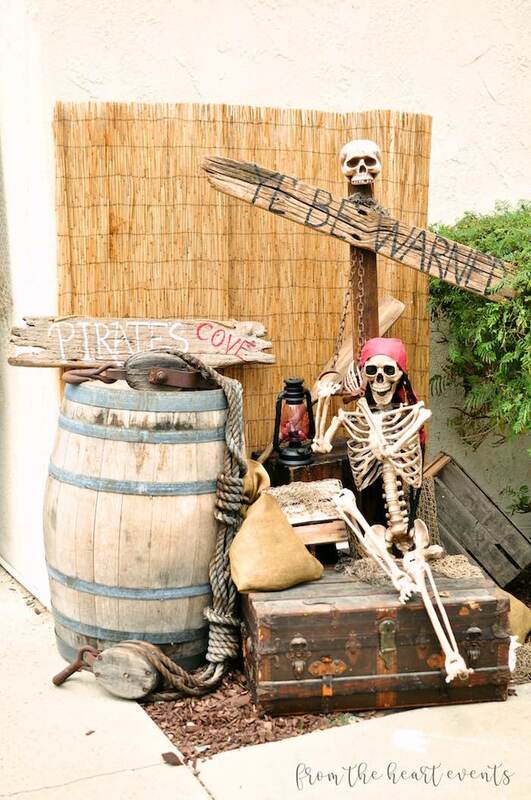 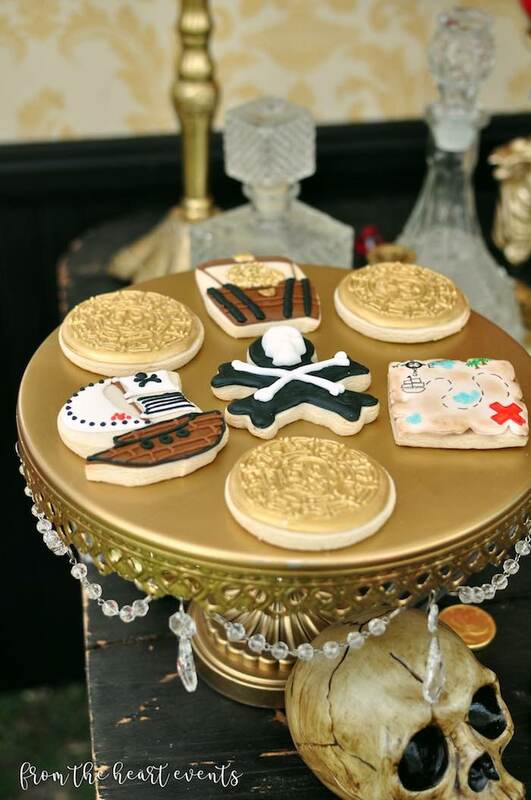 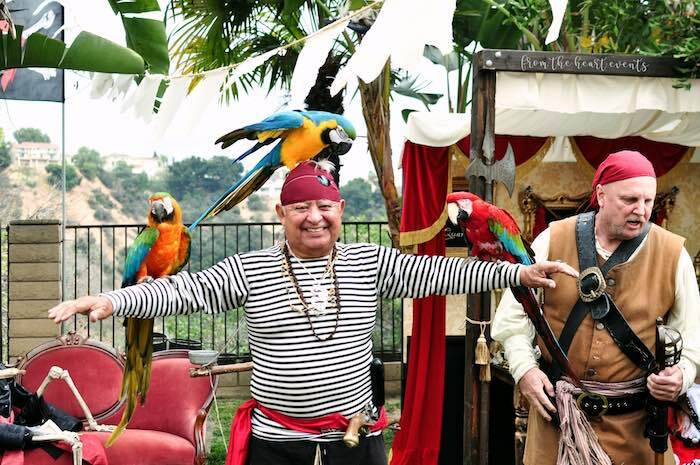 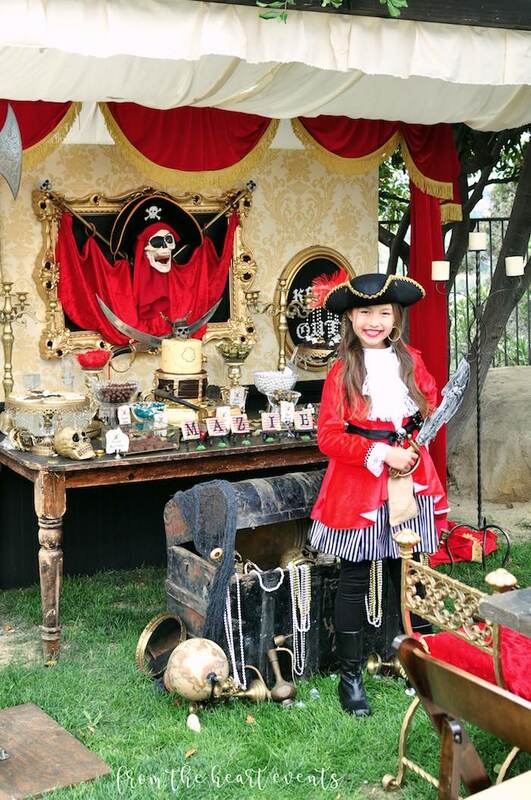 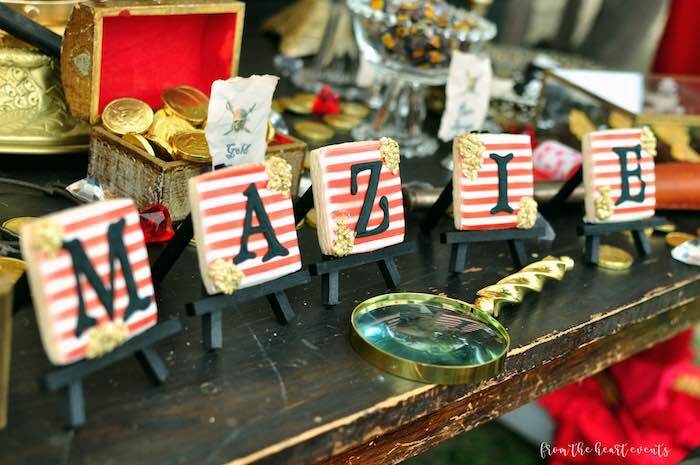 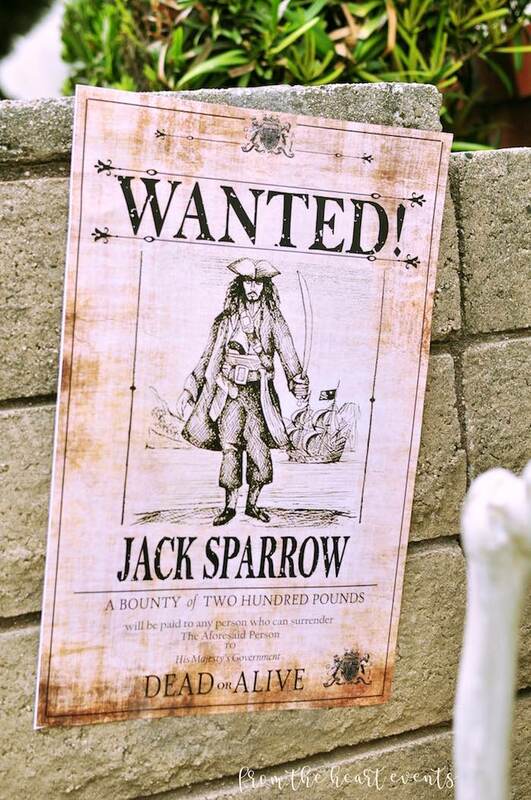 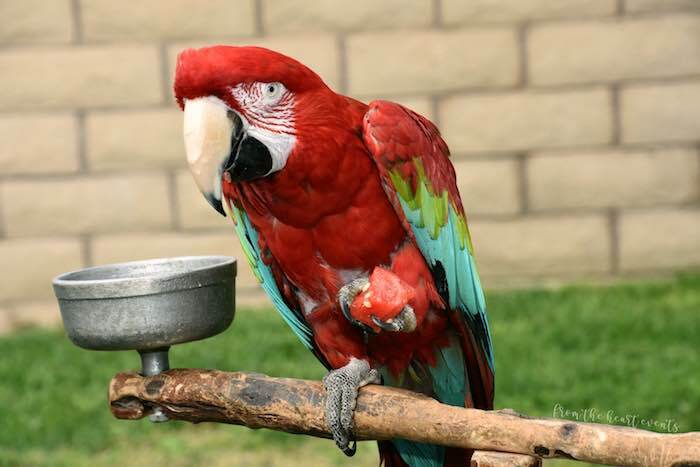 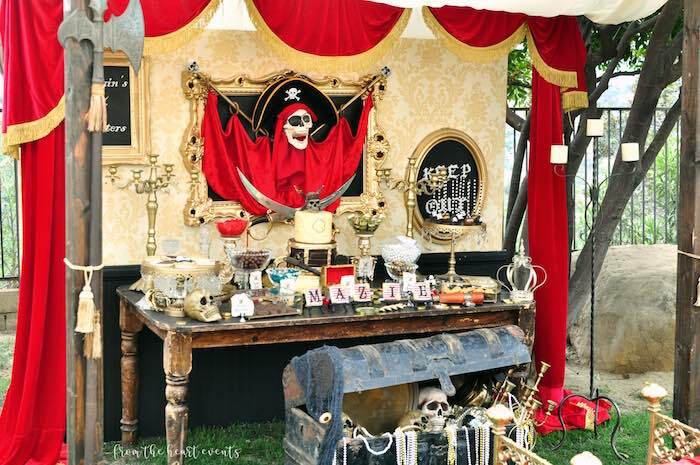 See all of our pirates party ideas here!